Continuity mistake: When Jodie hits the deer her vehicle spins out. 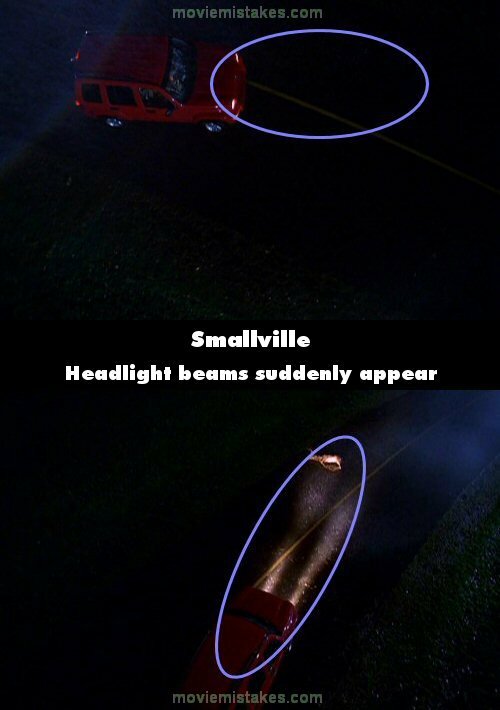 As it is spinning the headlights are not projecting any kind of visible beam. After the car stops, and she is facing the deer she hit, the headlight is now projecting a very bright beam to illuminate the deer on the road.